Alongside our successful MuleSoft services, Influential Software is excited to announce a new MuleSoft training website. Clients can now draw on our MuleSoft Partner expertise to train in development, operations, integration, architecture, management, and administration. This training is an excellent investment for anyone wanting to tap into the growing demand for MuleSoft projects. MuleSoft’s ongoing innovations – including in Anypoint Platform October 2018 – show that they are still leading the pack for integration and APIs. And MuleSoft Summit London 2018 was the largest MuleSoft event ever, with 2,500 people in attendance. All in all, the buzz for MuleSoft is only getting louder. With official MuleSoft training, our clients can bring the magic of MuleSoft to their own enterprises and carry out transformative projects for others. All our MuleSoft training is based on our team’s real-life experience of MuleSoft projects. We provide MuleSoft consulting, deployment, development, support, and recruitment services for clients across the UK. Interested in our MuleSoft services? Visit our dedicated site to find out more. Our MuleSoft training website is designed to cater for all paths, formats, and goals. Choose from paths for six MuleSoft roles: developers, operations, systems integration partners, architects, managers, and admins. Find classes for all levels, from beginners’ introductions to development for complex projects. Gain official MuleSoft certifications to attract clients and showcase your expertise. 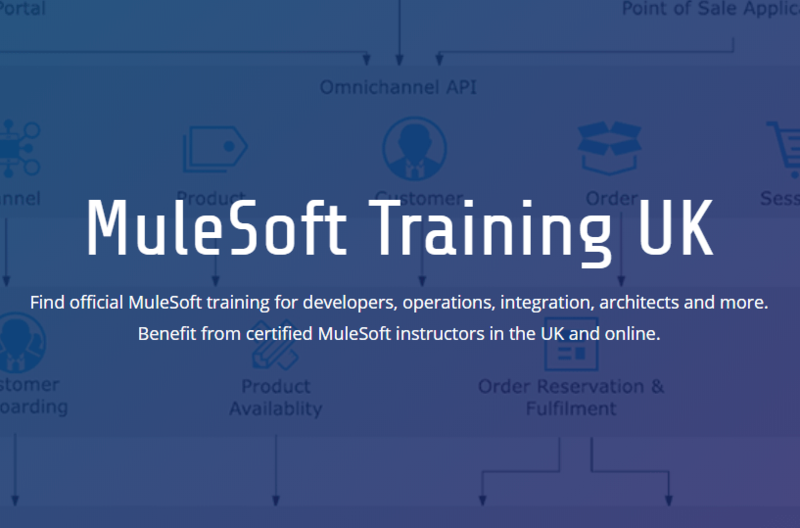 Take instructor-led MuleSoft classes at six London locations, at a location of your choice, or online. Buy a MuleSoft training subscription that entitles you to unlimited classes for one year. MuleSoft Training for Developers: gain the skills for unit testing, deploying, monitoring, or troubleshooting integrations or APIs. MuleSoft Training for IT Operations: learn to deploy, manage, do capacity planning, monitor, and troubleshoot integrations or APIs. MuleSoft Training for Systems Integration: gain the skills for basic and complex projects with Anypoint Platform. MuleSoft Training for Architects: train to design enterprise integration solutions, direct the emergence of an application network, and drive adoption of integration solutions. MuleSoft Training for Managers: gain an overview of Anypoint Platform and how to succeed with an API-led strategy. MuleSoft Training for Admins: learn to manage deployments, APIs, and implementations. If you’re eager to learn more about our modules and certifications, feel free to visit our dedicated MuleSoft training website.